Following the Freys: Photo Friday  - PNG to Brisbane! 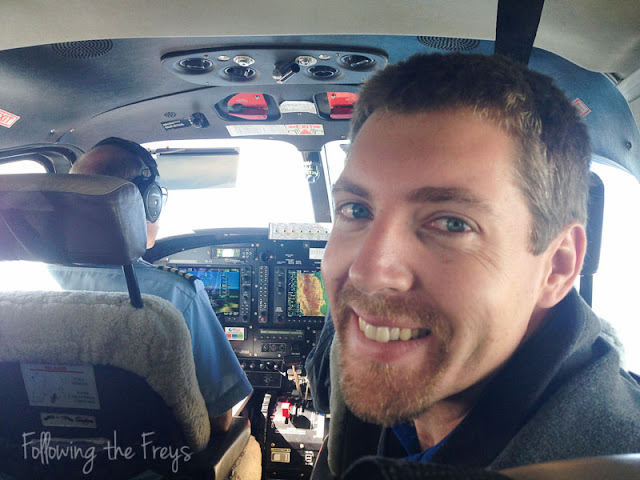 Photo Friday  - PNG to Brisbane! We've got our first day of travel under our belt now, and we're about to go to sleep here in Brisbane, Australia. Caleb said at dinner, "I can't believe it's furlough today!" Indeed, we've been talking about it for months, and it's strange now to have it here - today. 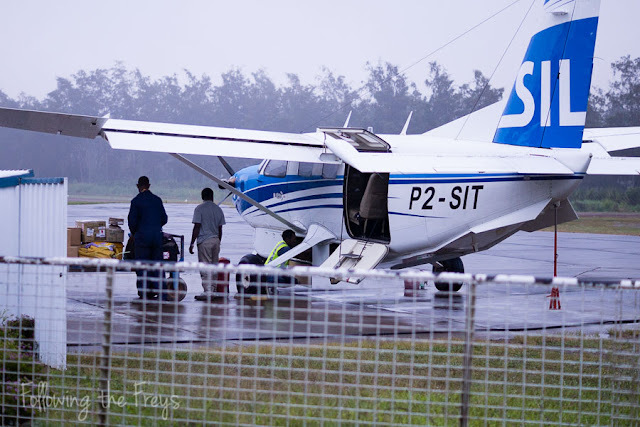 The photo above was taken after we landed in Port Moresby and were waiting to get a ride transferring us from the little MAF hanger to the international terminal, but let me back up a bit. I have no pictures prior to Thursday, because we were busy, busy, busy finishing up our packing and cleaning. Wednesday night we moved from our house to the Ukarumpa guesthouse so that we could finish cleaning while not trying to live there at the same time. By the way, I was extremely thankful for the clothes dryer Brian bought me earlier this year. 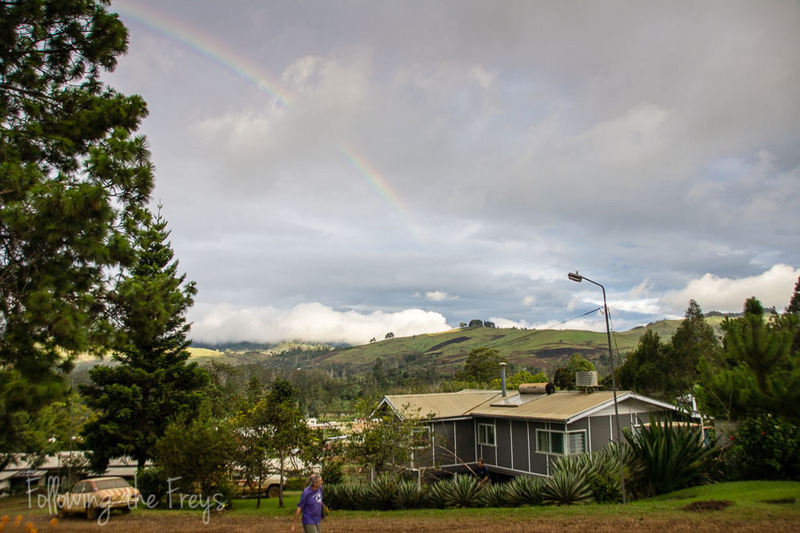 With such rainy weather in the days before we left, I would have been majorly stressed out trying to wash all the linens and towels before we left. 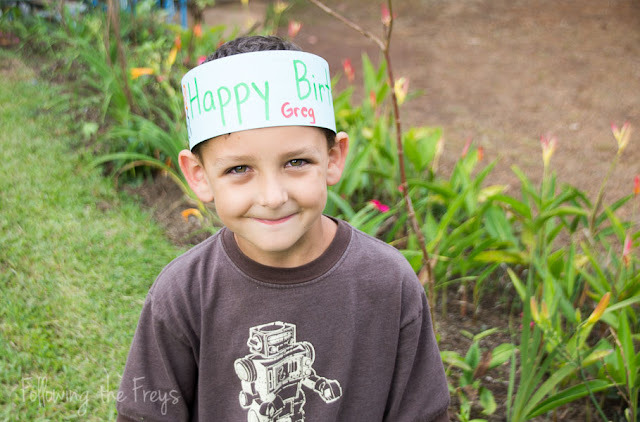 Greg had a wonderful last day of school, which included a field trip to the secondary campus and getting to be acknowledged for his summer birthday before he left. 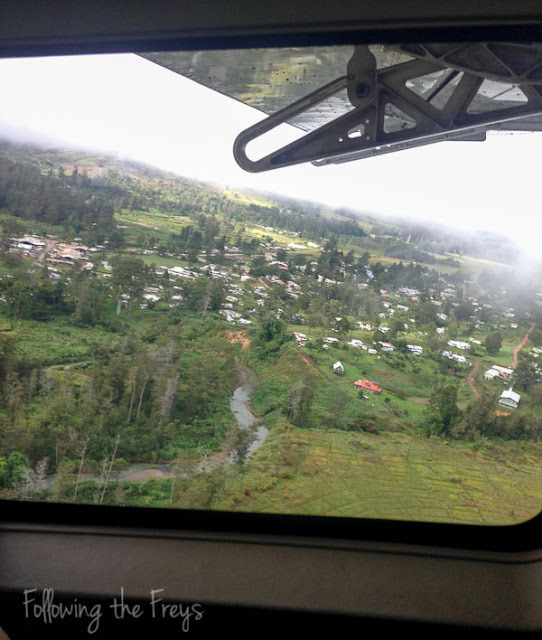 This morning we went out the airstrip bright and early. Well... the early part was right, but not the bright part. We had no idea how long we would have to wait for the fog to lift. We were told that a flight two days ago was delayed for hours. Thankfully our flight got off the ground only an hour past the scheduled departure time. Foggy mornings are par for the course this time of year at our airstrip. 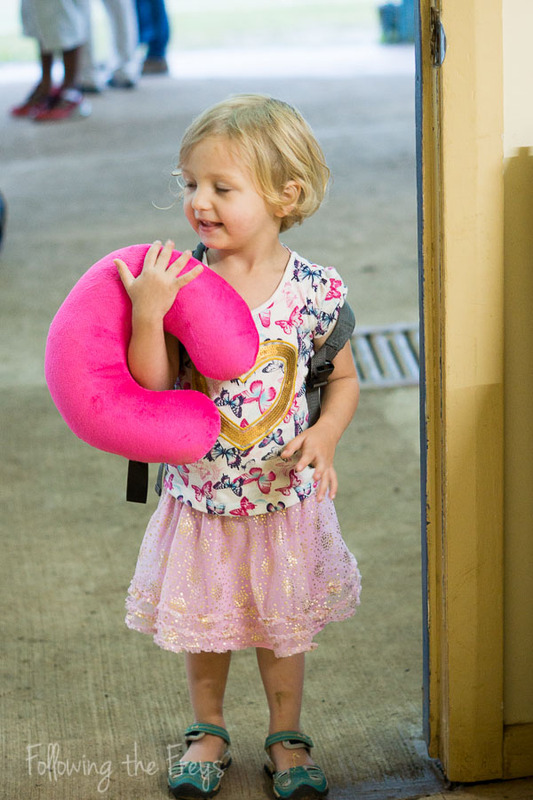 This girl was ready to travel in her favorite sparkly skirt, tiny backpack, and her new pink travel pillow. Ready to go in the Kodiak, with our friend and neighbor Jonathan as the pilot. 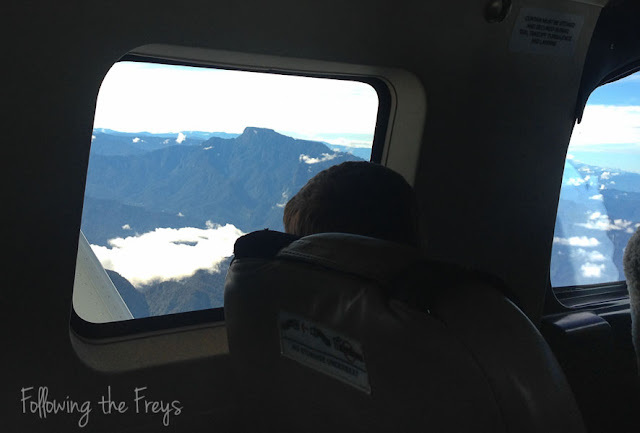 Greg watching the beautiful PNG scenery pass by. To make a long story short, we made it to Port Moresby, and then (after more painful waiting) to Brisbane. 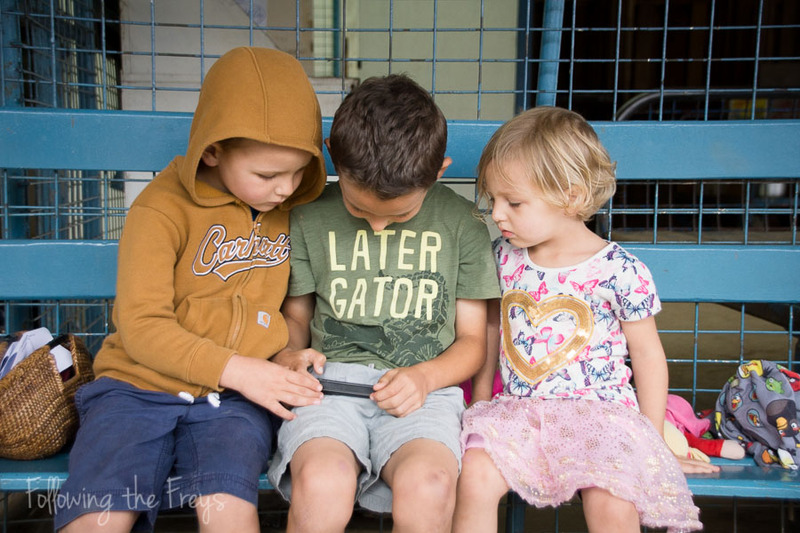 It's been fun to watch the kids. 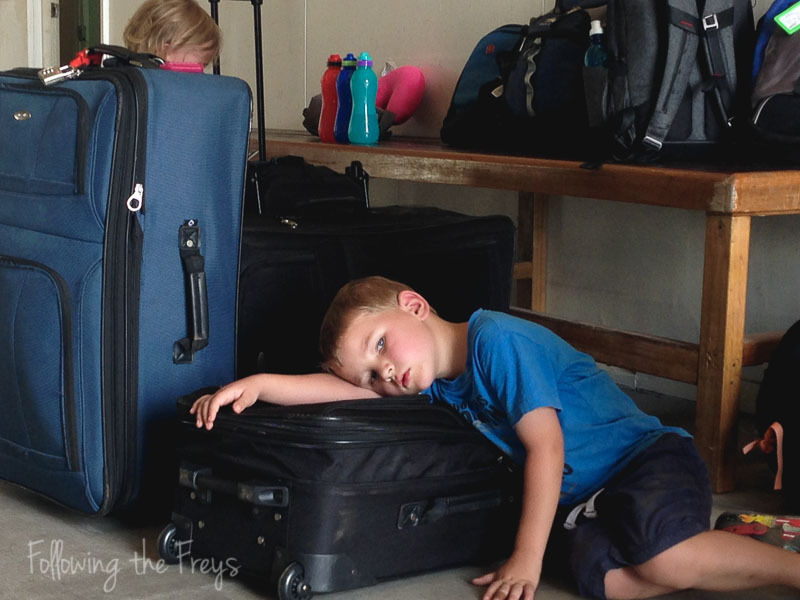 Greg, the "experienced" traveler, remembering things and informing his little siblings how Australia works, and the little ones stopping to stare at things like the automatically opening doors of the shopping center and commenting on how many signs there are. Yes, we went shopping straight away - for some food to have at the flat where we will be staying for a few days. When we walked into the Woolworths we were greeted with the huge, brightly lit, and clean produce section, and the kids may have freaked out a little. We headed straight for the grapes (which were devoured at dinner) and I have a cantaloupe for breakfast. These are the things we've been looking forward to. Off to sleep now, like the rest of the family. Thanks for praying for our travels. Maybe it's the novelty of it all, but the kids did much better on our first flights than we expected.